Looking fancy at the table can be done really easily if you follow this recipe. The perfect combination of sweet, sour and heat, this chicken dish looks great and tastes amazing. Great on the grill, or easily done in the broiler, too. One of my summertime favorites! Combine these three ingredients into a small sauce pan and cook over low heat until the mixture reduces down to a sauce, then set aside. Can take a good 10 – 15 minutes. Combine everything but the jalapenos into a bowl. Pan fry, grill or broil the jalapenos 3 minutes per side. Core and remove the seeds. Chop, and add to the salsa. Use 2 for a mild flavor, all 3 for a bold flavor. 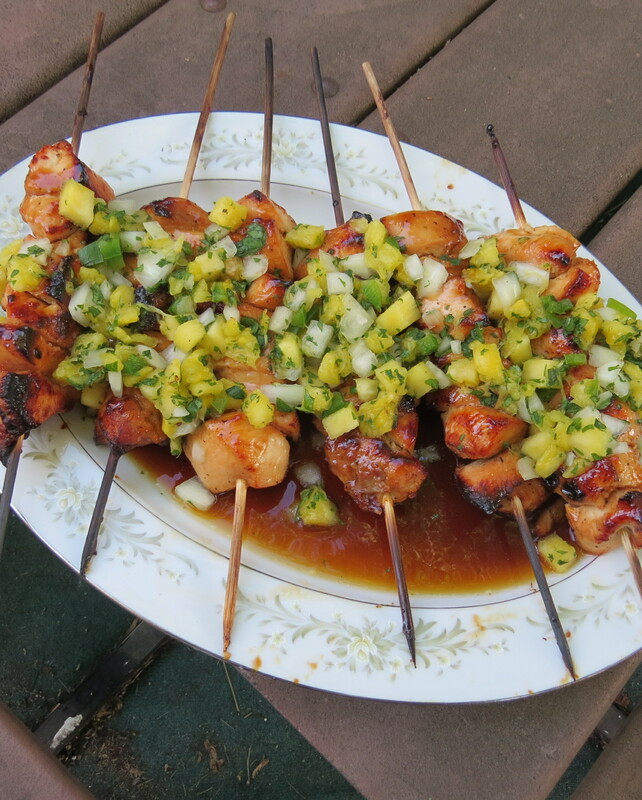 Slice the chicken breasts into large chunks (approximately 2” cubes) and skewer 4 to 6 cubes each stick. 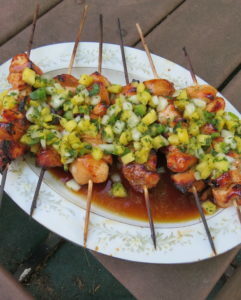 Place chicken skewers on the grill, baste with the sweet sauce and cook about 7 minutes per side. Remove from grill, plate, drizzle sauce on top and layer with salsa. So Scrumptious! Makes approximately 8 skewers, depending on how big you cut your chicken chunks. I like to serve this meal with a side of brown rice cooked with a can of Bushes Baked Beans. *Make sure you soak the skewers in water for at least a couple hours before using, or they will have a good chance of catching on fire during the cooking process! Thank you for reading my post. Does this recipe sound yummy? If you try it out let me know what you think! All comments are greatly appreciated. 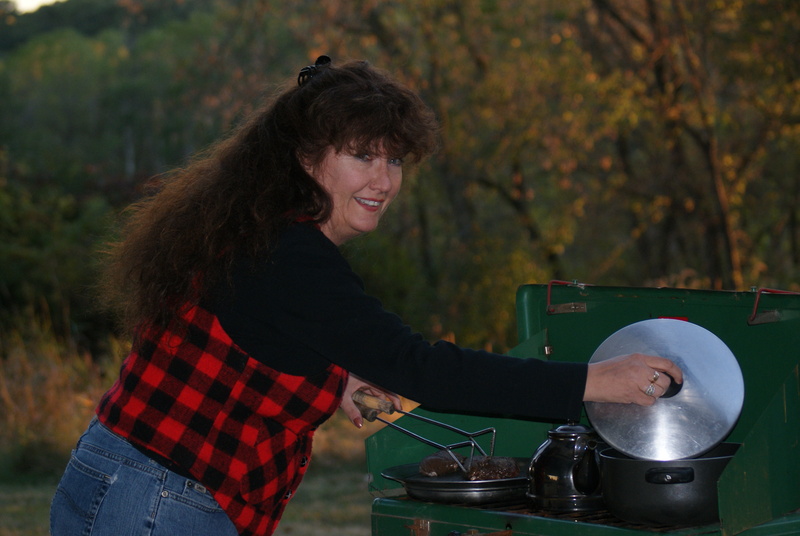 Check out more great recipes under my Killer Cookin’ blog category, and if you like what you see, please let me know by “liking” my website. 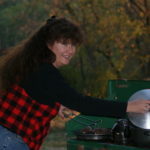 You can even join my tribe to automatically receive new postings ‘hot off the press’. There’s a place to do that right on my home page. As always, please feel free to share my information with others who may find interest and value in PR Brady AdVentures! Thanks again!